• Sketch designs, both linear and geometric are best for this project. 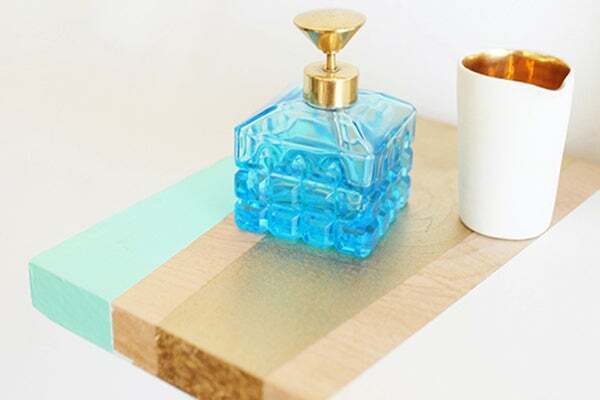 We decided to use three colors, white, gold and aqua as an accent to the natural wood. Make a note in your sketch which areas will be painted which color. • Tape out the design on both sides of the board, paying attention to the edges to be sure your design wraps around. 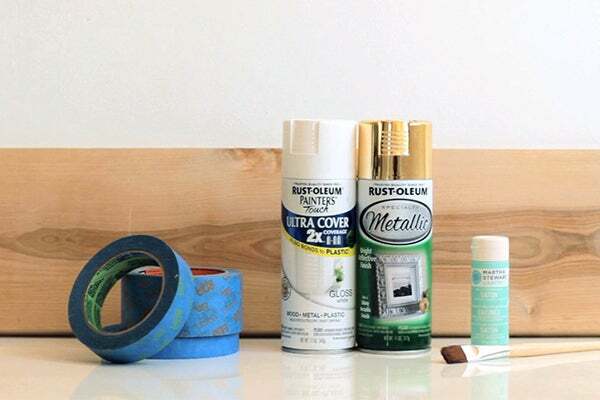 • Tape over all the areas that you have designated to paint gold. • Spray the exposed areas with glossy white paint on both sides and edges. Allow to dry completely — the longer you let the paint dry the nicer the final results will be. • Peel the tape to expose the area to be painted gold and then tape over the white areas. • Spray three glamorous layers of gold paint on the exposed areas and let dry. • Peel off all the tape to reveal the entire board. 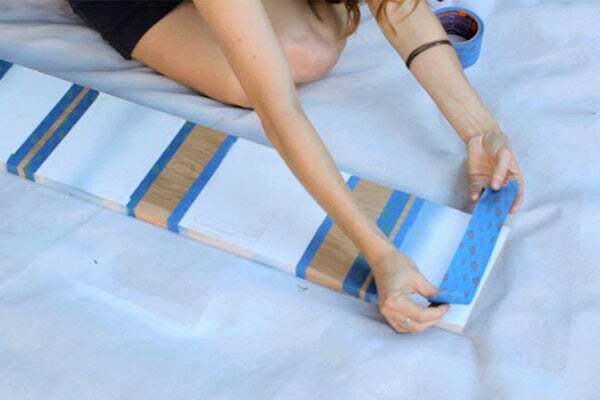 • Pick some small areas within your design to tape off and paint the Aqua color. Use a paintbrush for accuracy. 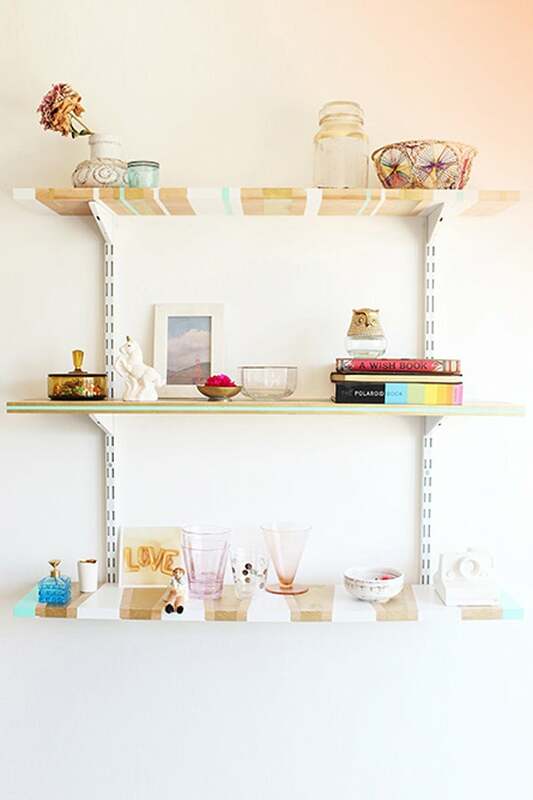 • Peel the last layer of paint to unleash your beautiful new shelf! • Install the shelf according to the specifications of your chosen hardware.